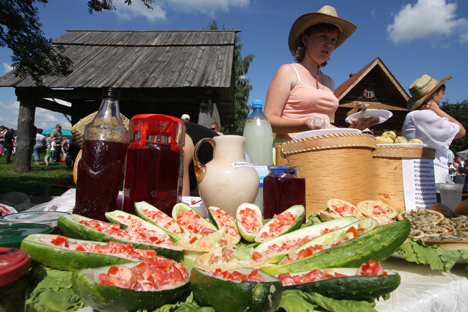 RIR has compiled a list of the top food festivals and farmers’ markets to be found in Russia this summer. Farmers' markets in Russia have very little in common with farmers’ markets in Europe or the USA – perhaps because the Russian weather limits them to just 3–4 months of warm weather per year. Even so, several of these markets have become real festivals and national events capable of gathering thousands of people from all over the country. Buying fresh products or seeds are only the beginning of why people visit them – taking part in competitions, getting listed in the Guinness Book of Records, trying traditional costumes, enjoying folk music are other reasons, alongside possible free breakfasts, lunches or suppers consisting of national dishes. Astrakhan is one of the major ports-of-call on Volga river cruises. Air tickets from Moscow to Astrakhan go from 300 euros return, and are available from official outlets of S7, Utair and Aeroflot airlines.